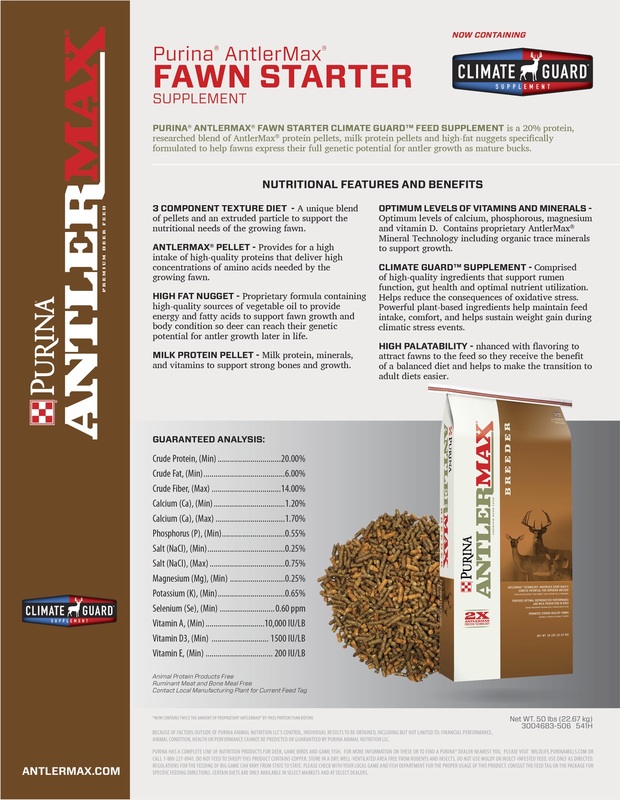 Purina Wildlife​’s AntlerMax Fawn Starter is Now Available at Bar None Country Store! It is a 20% protein, researched blend of AntlerMax protein pellets, milk protein pellets and high-fat nuggets specifically formulated to help fawns express their full genetic potential for antler growth as mature bucks. It is designed to be fed as a creep style feed for growing fawns. Ask about a Feeding Trial with 2 FREE bags. Call or text Mike at 254-709-5225 for more information. This entry was posted on Wednesday, May 30th, 2018 at 5:33 pm	and is filed under News & Updates, Wildlife, Wildlife, Deer. You can follow any responses to this entry through the RSS 2.0 feed. Both comments and pings are currently closed.